Toronto – July 30, 2018 – Friends of Simon Wiesenthal Center (FSWC) is encouraging the Canadian government to ensure new $50 million in funding for Palestinians is managed and implemented directly by Canadian officials on the ground. 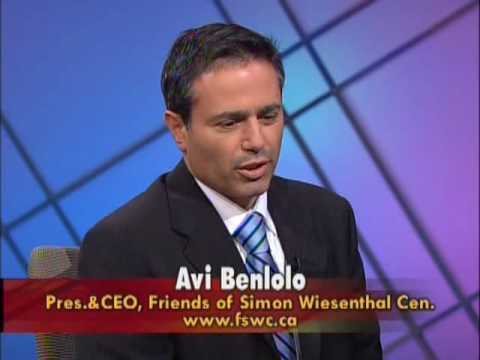 “At a time of greater international focus on corruption in the Palestinian territories and Gaza, including the refusal of the Palestinian Authority to cease payments to terrorists who murder and injure Israelis, it is imperative for Canadian tax payers to know that their money will not be diverted to supporting terrorism,” said FSWC President and CEO Avi Benlolo. Global Affairs further advises that the allocation includes Gaza, a territory under control of Hamas. FSWC has raised concern before about Canadian money flowing through the United Nations Relief and Works Agency (UNRWA). Recently, the Simon Wiesenthal Center funded a study of 150 Palestinian textbooks used in the West Bank and in Gaza exposing indoctrination, violence, denial and demonization of the Jewish people. UNRWA is not one of the recipient agencies mentioned in this grant, but does receive Canadian funds. Recipients include the United Nations Population Fund, the Food and Agriculture Organization of the UN, the World Food Programme, the United Nations Children’s Fund and others. Be the first to comment on "FSWC Encourages Canada to Self-Direct $50 million Allocation to Palestinians"